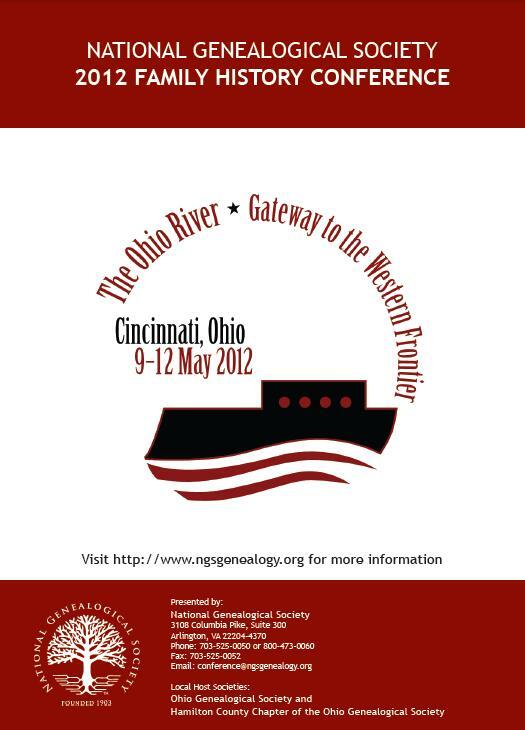 (ARLINGTON, VA)–Registration begins on 1 December 2011 for the National Genealogical Society's thirty-fourth annual Family History Conference, The Ohio River: Gateway to the Western Frontier, which will be held 9–12 May 2012 in Cincinnati, Ohio. 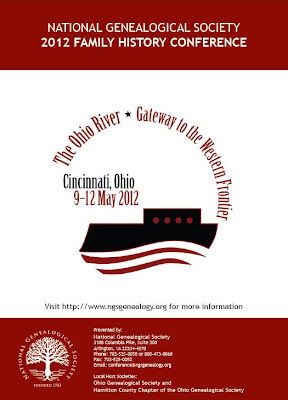 NGS chose Cincinnati, a major terminus for travelers and goods since the eighteenth century, as the location of its annual conference because of the rich historical and cultural diversity of the area. Immigrants, pioneers, frontiersmen, and explorers created an abundance of family history in the "Queen City of the West" that is waiting to be discovered by the thousands of genealogists who annually attend the NGS conference. The conference will open with an overview of the of the spectacular Cincinnati Panorama of 1848 by Patricia Moseley Van Skaik, manager of the History and Genealogy Collection of the Public Library of Cincinnati and Hamilton County. A few of the NGS 2012 Family History Conference sessions include "Focusing on Pathways 'cross the Ohio River," "Fugitive Slave Act and the Underground Railroad," "Military Bounty Lands," "Migration Patterns into the Midwest" "Spring Grove: Eternal Rest in the Midwest," "Researching in Ohio," "Researching on the 'Southern Side' of Cincinnati," "Ohio's Common Pleas Court," and "Trails West to the Ohio and Beyond." Registration begins Thursday, 1 December 2011. 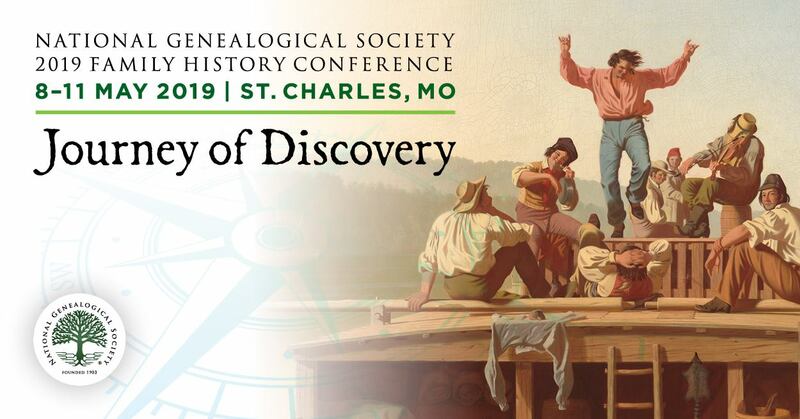 To register online, visit the NGS website at http://www.ngsgenealogy.org/cs/attendee_registration and complete the registration form. The online searchable program is available at http://members.ngsgenealogy.org/Conferences/2012Program.cfm and the PDF brochure is available at http://www.ngsgenealogy.org/cs/conference_info. The brochure includes an overview of the sessions, workshops, tours, pre-conference events, registration times, and rates as well as general conference and Duke Energy Convention Center details.